I am not sure why I didn't think of this earlier, But I have just started making use of old birthday cards. I am not sure what everyone does with birthday cards but in the past I have kept my favourites and the rest have ended up in the recycle bin. As great as it is to have them recycled and to know they will get made into other paper uses, it does make me feel a little bit like it is a waste. Cards are so pretty and have lovely illustrations and are so nice and colourful, a part of me has always wanted to keep every single one of them. So at the end of Lily's birthday this year, I piled up all her birthday cards, but didn't throw them away this time. Instead I thought of a great idea with what we could do with them. I got some paper, glue, and scissors and decided that I would let Lily make her own pictures out of them. There were so many characters to choose from for me to cut out for Lily to stick down. 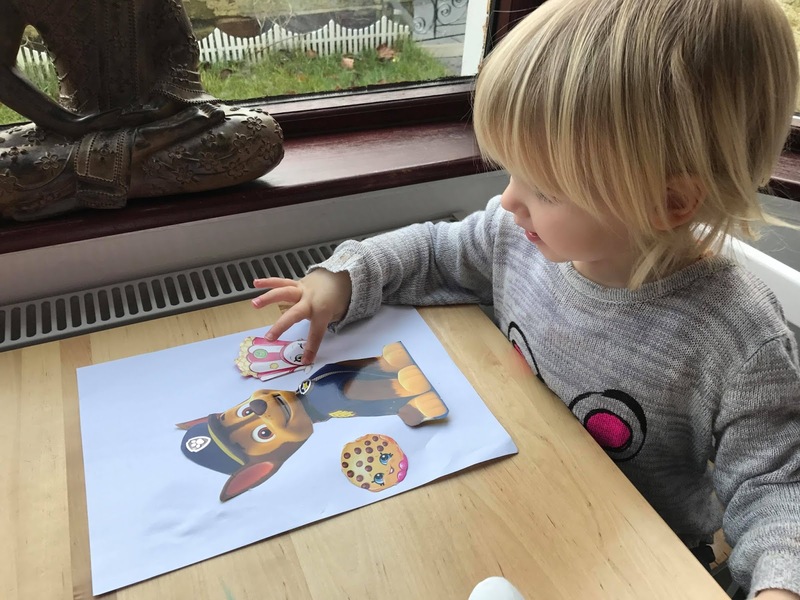 But of corse she first chose her favourite characters from her Paw Patrol cards. 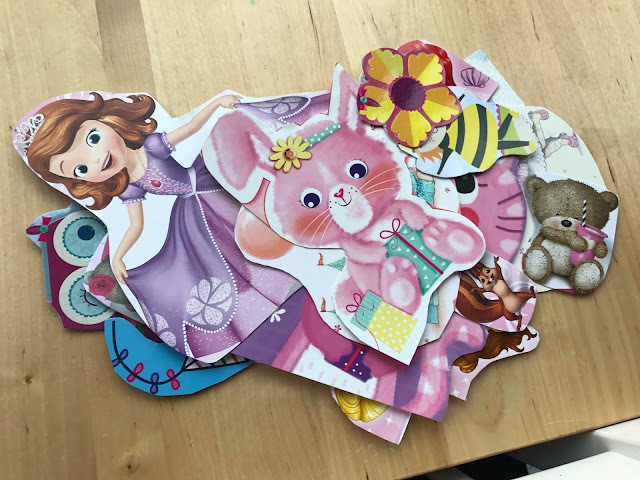 I did the cutting as carefully as I could to get her a nice cut out of the character and then I let Lily put on the glue and stick it down. 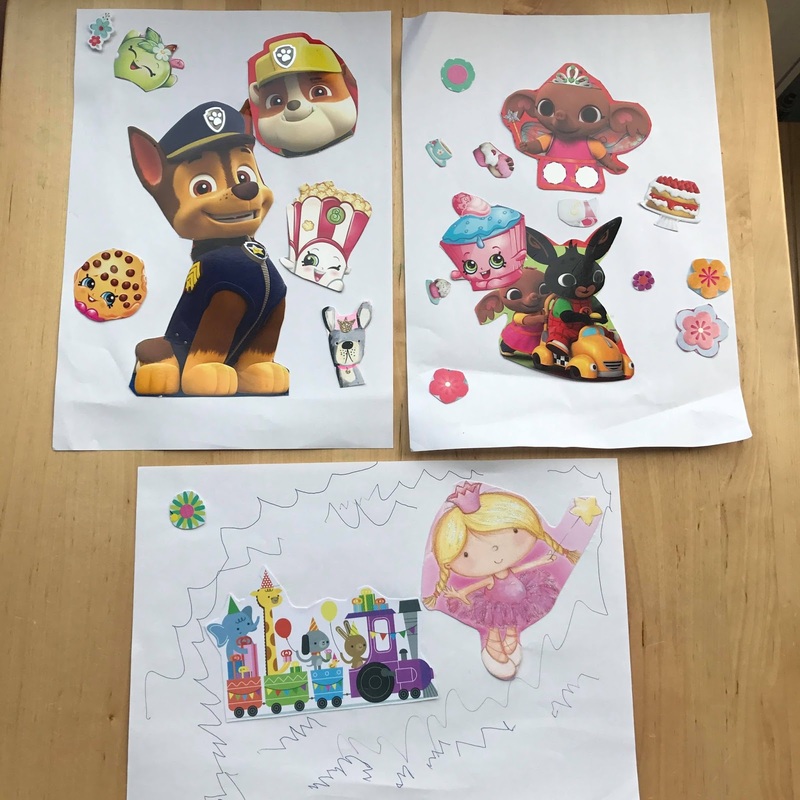 Lily chose where she wanted to stick her characters and also what else she wanted to stick around the characters. We kept this activity quite simple and just made pictures but you could also make your own birthday cards to give to people using this idea. 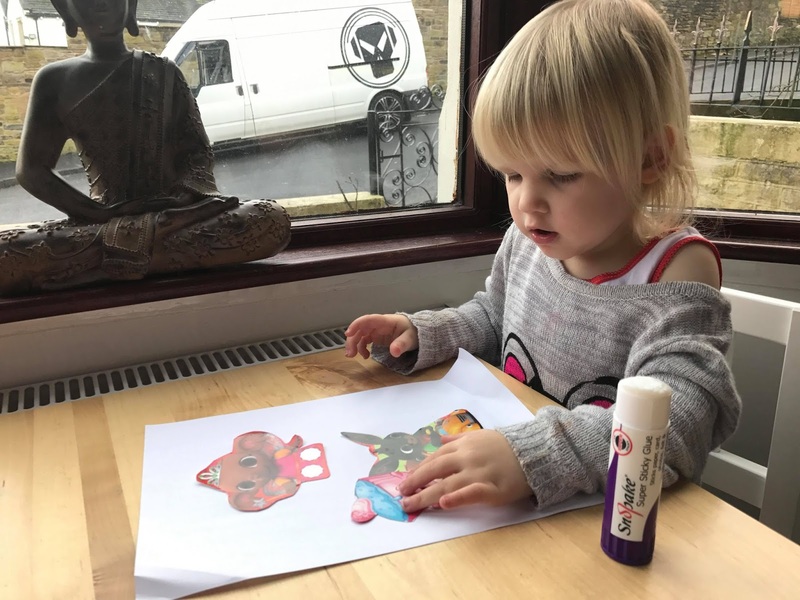 Lily made 3 pictures before she grew bored of doing this so it is a nice activity to keep children engaged and quiet for quite some time. 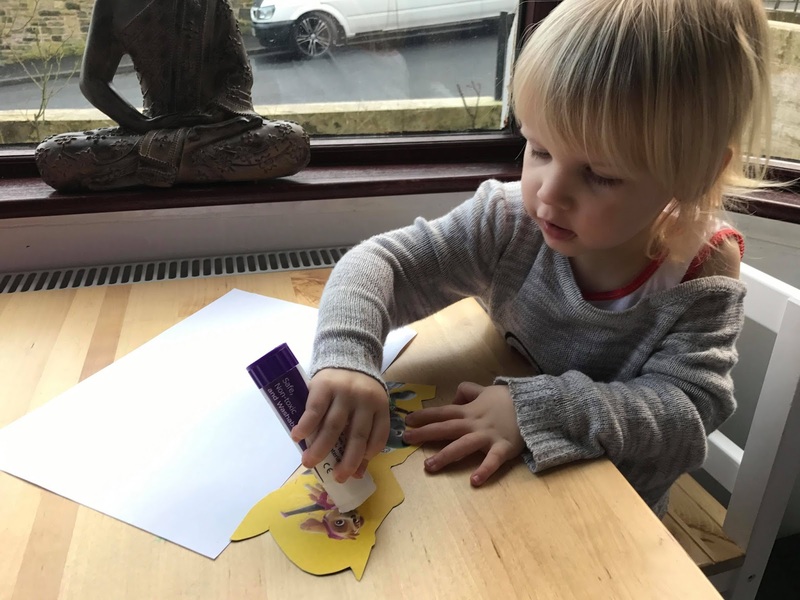 Lily also decided she wanted to draw on one of her pictures, which is another thing you could encourage your child to do. This activity is a really nice one to give your child free reign to be creative. It also really helps their fine motor skills. But after you have cut out all your shapes of characters on the card, you don't need to throw all the card away. 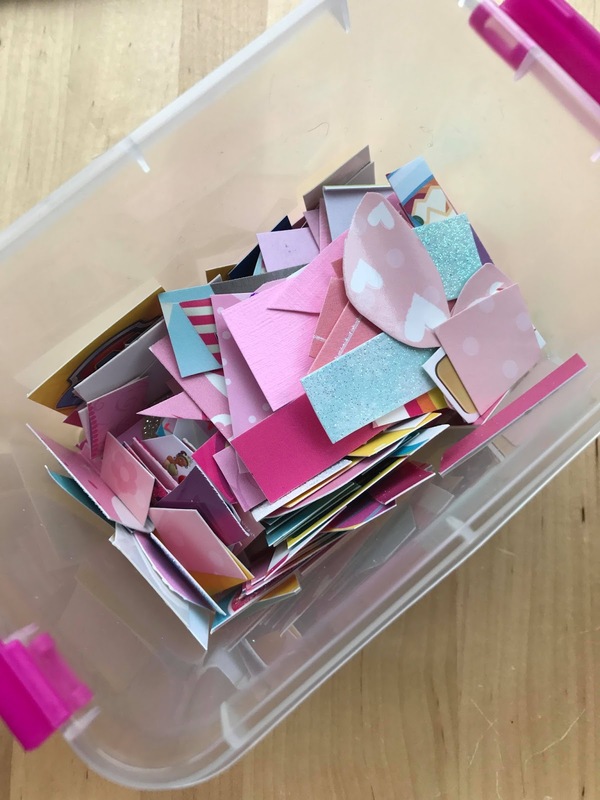 It is a little bit of effort but why don't you cut up all the colourful parts of the remaining card into small shapes. These can be used later for collage activities. 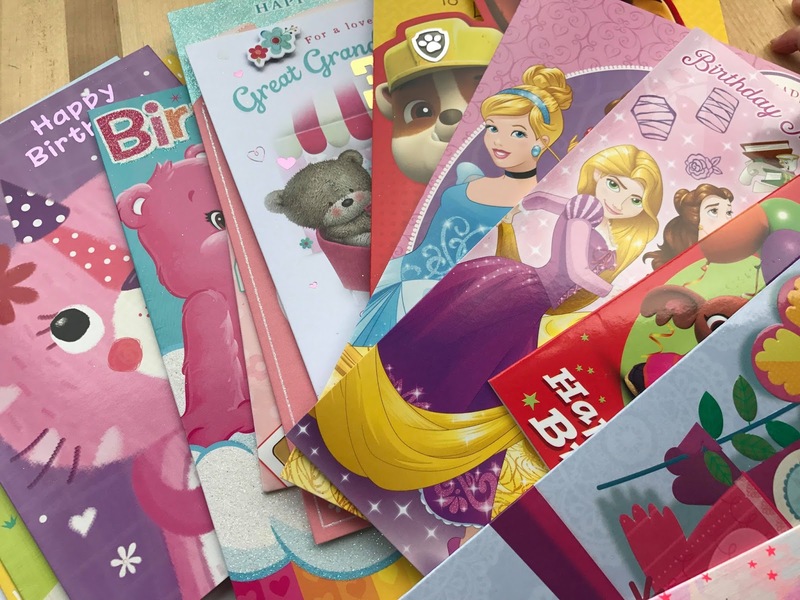 Would you concider using birthday cards for an activity in the future? Yes. I can recall many years ago, when I shared a flat with flat mates. One of the flat mates had a friend who worked at a children's nursery. We used to collect lots of things to pass on to her for use at the children's nursery, for arts and crafts, etc. Arts and crafts are fun activities. Looks like Lily got a wide range / variety of Birthday cards.